MickyD’s New Strategy: Will it Work? 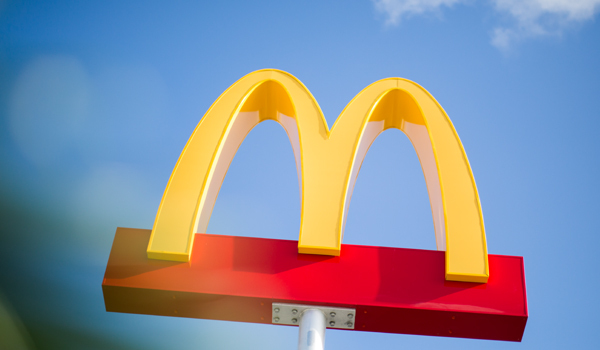 McDonald's unveiled a new strategy focused on technology enablement and experience design. Only one of these is important for the brand. McDonald’s just unveiled their new strategic plan for growth and it’s exactly too smart by half. Two things jump out: One’s a mistake; the other’s a necessity. The mistake is a new focus on tech enablement. The core of the McDonald’s brand promise has always been “fast” and simple. Digital enablement allows them to speed up their “too many choices” model. There’s a growing body of social science showing that choice is a dead end. Turns out most consumers don’t want everything–they want the right thing. Too many things–too many choices–can be paralyzing. That’s why experience design can offer McDonald’s a better way to differentiate. Good experience design puts a person between the consumer and the choice. If the person is the right person, he or she gives McDonald’s two brand wins right off the bat. Win number one is personification. The right person says, people I like, people I aspire to be like, like being here. Win number two is simple sales growth. With someone to help the consumer with choice, most consumers will choose to consume more. That’s where a better menu comes in. But that’s a topic for another day. Great post, David. But I would point out that In 'n Out Burger provides a good customer experience, perhaps being the "exception that proves the rule." They also feature a focused menu with better ingredients (which is a large part of their customer experience). I once worked with a QSR client, and they were sharing their marketing intelligence about their competition and how they performed against each one. I pointed out that In 'n Out was missing. They replied that, "In 'n Out is the gold standard. We can't compete with that."